The Last of Us Remastered Edition is easily one of the most highly anticipated surprises that PS4 owners can look forward to, people who have played the game on the PS3 can retake the journey of Joel and Ellie one more time with improved visuals while PS4 owners can embark on a memorable journey that will leave them speechless. Word is that GAME UK will be launching the game as early as June 13th. 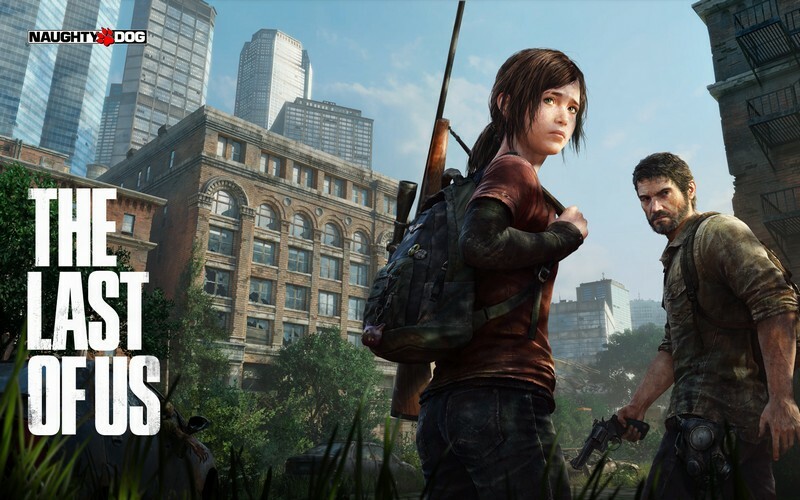 The Last of Us Remastered Edition is a game that is coming with many more bells and whistles as opposed to its predecessor on the PS3, while the graphics and frames may not have been up to the “industry standard” the game still manage to sweep a number of accolades and be one of the few games in the history of the industry to sweep the floors with 10/10 ratings from almost every review site. The power of the story telling in the game was unmatched at the time and showed us that Naughty Dog is indeed capable of something more than Uncharted games. GAMESBarnsley may have let the cat out of the bag prematurely but considering the tweet is now more than a few hours old it would be a safe bet to assume that the information could be true, why so? GAME did make a motion earlier when the Wolfenstein debacle happened and people wanted to roll over their pre-order. It has come to my attention that the tweet has been deleted, so here is an image of the tweet I saved for just the occasion. Now, While not many people seem to trust GAME Barnsley, lets take a trip down memory lane to the launch of Wolfenstien the New Order. 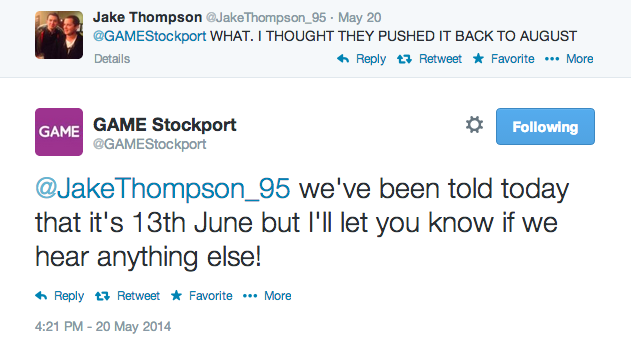 GAME Stockport did agree on a June 13th release date and that was the last communication that was heard from them regarding the release date, could it be that Barnsley might be on to something? Could the big E3 surprise from Sony really be the release of The Last of Us Remastered coming to the PS4 only days after the conference? If true then this could be huge news for the console owners who have been so looking forward to the game. Images are courtesy of dc89 on NeoGaf. So as you can see, could this really be real? What do you hope? Knowing Naughty Dog if they are ready to release the game then it has to be ready since Naughty Dog has yet to do wrong with the Uncharted games in terms of launches since (Correct me if I am wrong) Last of Us and Uncharted games have launched without any launch day issues such as crashes etc, I have full confidence that Naughty Dog does have the capacity to make a June release date possible so its all up to Based Sony now. On an additional note, PlayStation Business which is basically a PR Site for Sony, also states a June ’14 release date for the game albeit with the condition of TBC (To Be Confirmed). Thanks to VLiberty for the catch. 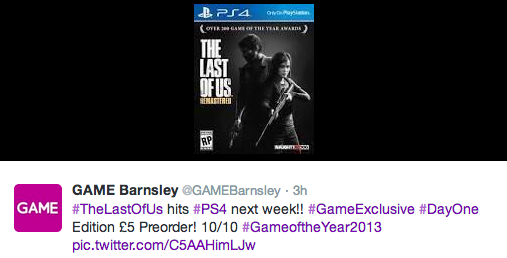 UPDATE: It appears that GAME Barnsley has already pulled back their statement, could this either be damage control or perhaps the release date was truly misinterpreted? Either way, now we can only wait and see. 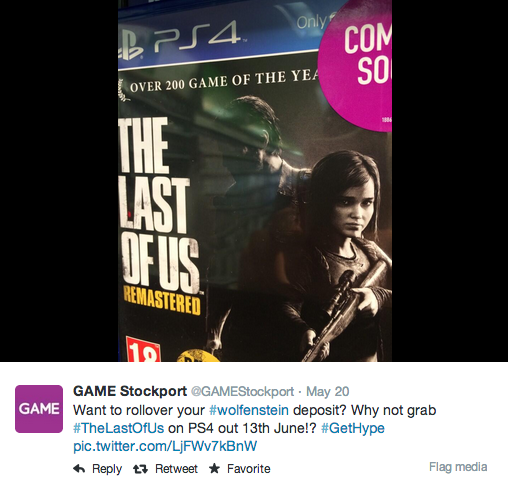 Apologises everyone about #TheLastOfUs Release Date! #MissPrint #OverEagerStaffMember We will update you when we get an official date sorry!